What Are You Doing Spencer? Emily spies Spencer digging in the trash in "Whirly Girlie." 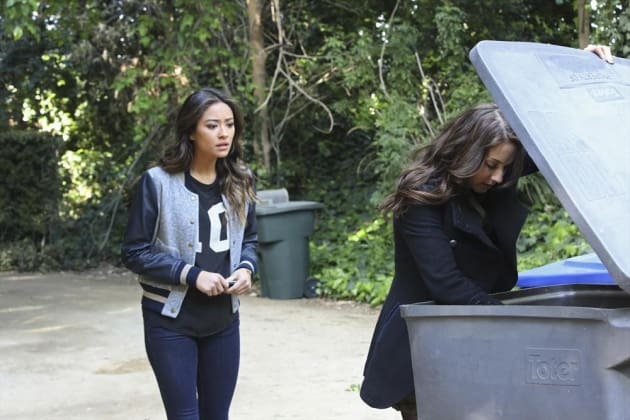 Pretty Little Liars Season 5 Episode 2: "Whirly Girlie"